This runner features five, seven-step colour gradations. The light to dark transition makes each Log Cabin Variation glow in its black setting. 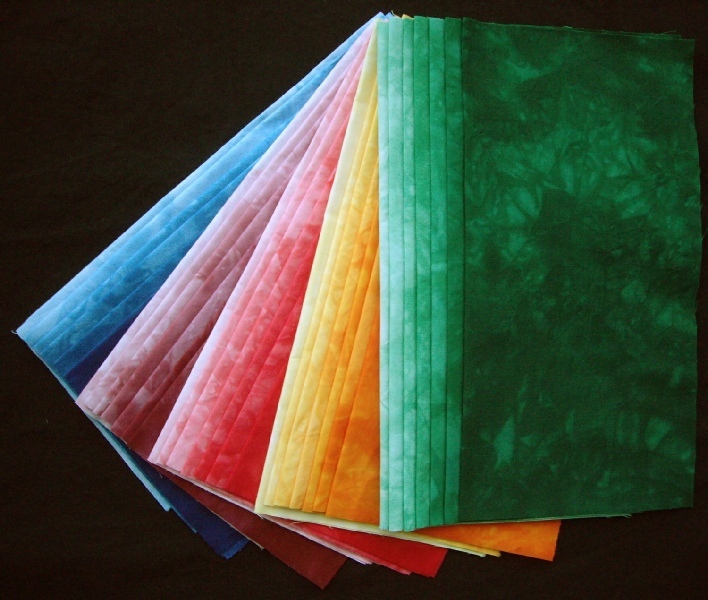 This kit contains fabric: five, seven-step gradations (0.3m each) and 1 meter of black for top and binding. This runner is featured in the book: 3D Folded Blocks. As it has been sold out, I will include written instruction for this quilt. 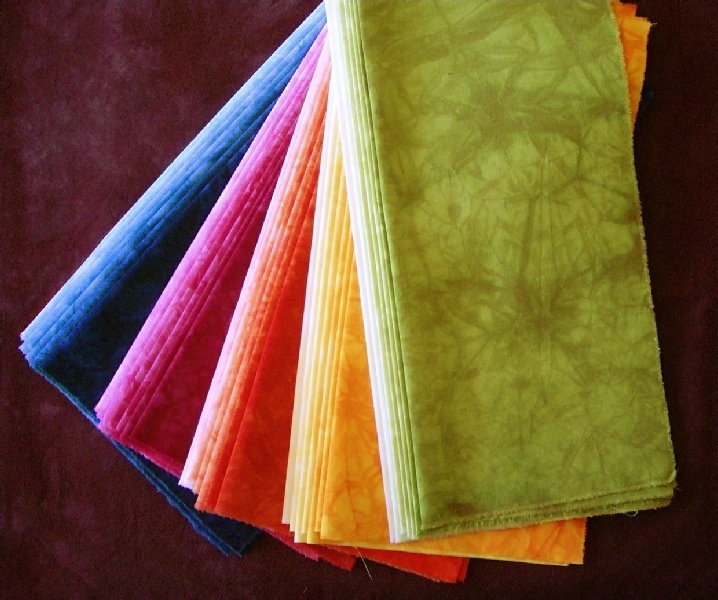 The colours in the kit (as shown at left above) are somewhat different from the fabrics in the original quilt which was made from scraps. At right is an alternate colour scheme with brown as background fabric for a warmer Gemstones.